Successfully saved Roasted Asian Brussel Sprouts Recipe with Peanut Sauce to your Calendar. You can also save the ingredients to your Grocery List. These Roasted Asian Brussel Sprouts are packed with flavor and highly addictive! 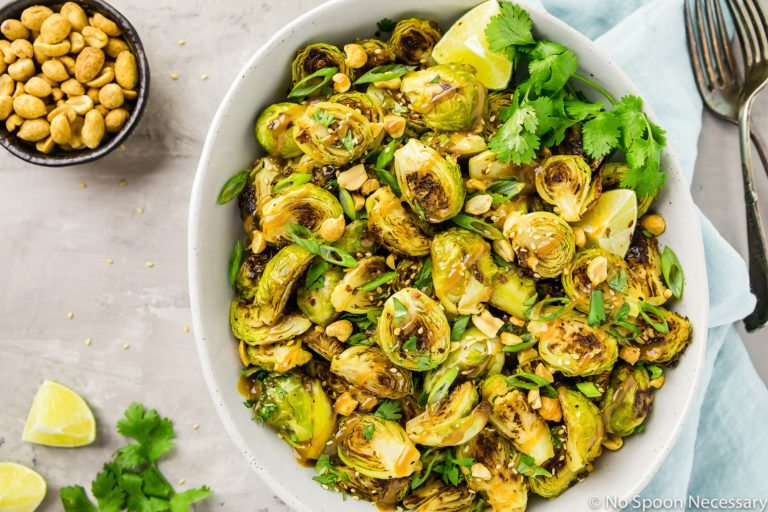 Tender, crisp roasted brussels sprouts dusted with sesame seeds, sprinkled with fresh herbs and drizzled with a silky, sweet peanut based sauce, these sprouts are savory, sweet and spicy. They make an insanely delicious side, or can be served as the ultimate vegetarian appetizer!